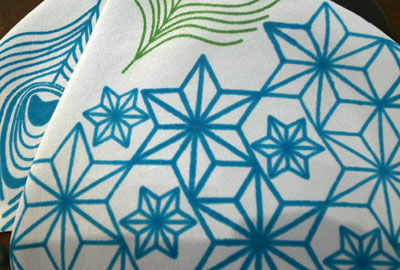 In this course you will experiment with screen printing onto fabrics. This is a flexible course allowing you to work on your own projects at your own pace with support. You could experiment with pre-made screens, as well as create your own designs via screen printing with stencils and Thermofax screens. You will get one Thermofax screen as part of the price and are welcome to purchase more if you so choose.